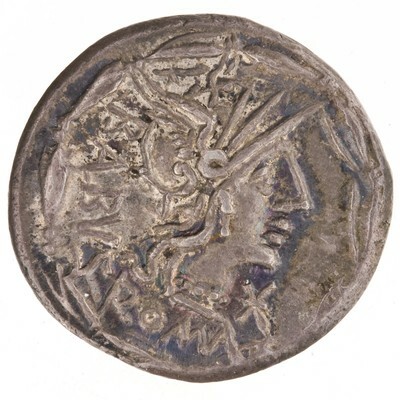 Obverse: BALBVS ROMA X (crossed) - Helmeted head of Roma, right ; around, laurel-wreath. 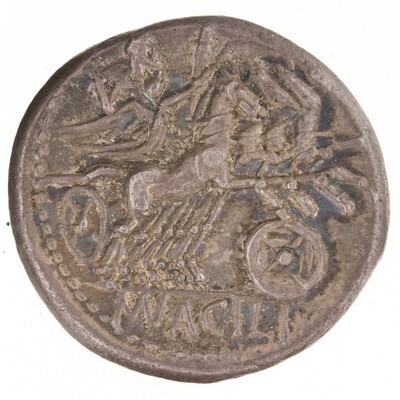 Reverse: MN·ACILI - Jupiter, holding spear in left hand and thunderbolt in right hand, in quadriga right driven by Victory, holding reins in left and whip in right hand; below, shield. Border of dots.